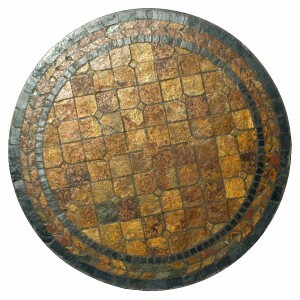 The stunning Santa Maria table measures 110cm in diameter, the tiles are hand laid mosaic style and have lovely warm earthy tones. 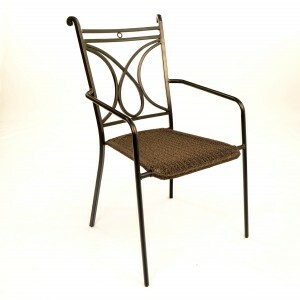 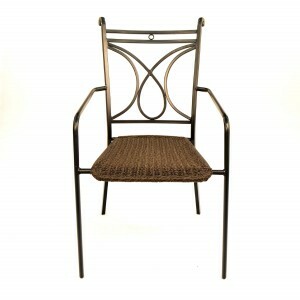 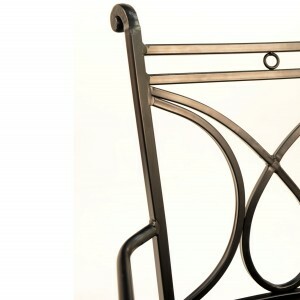 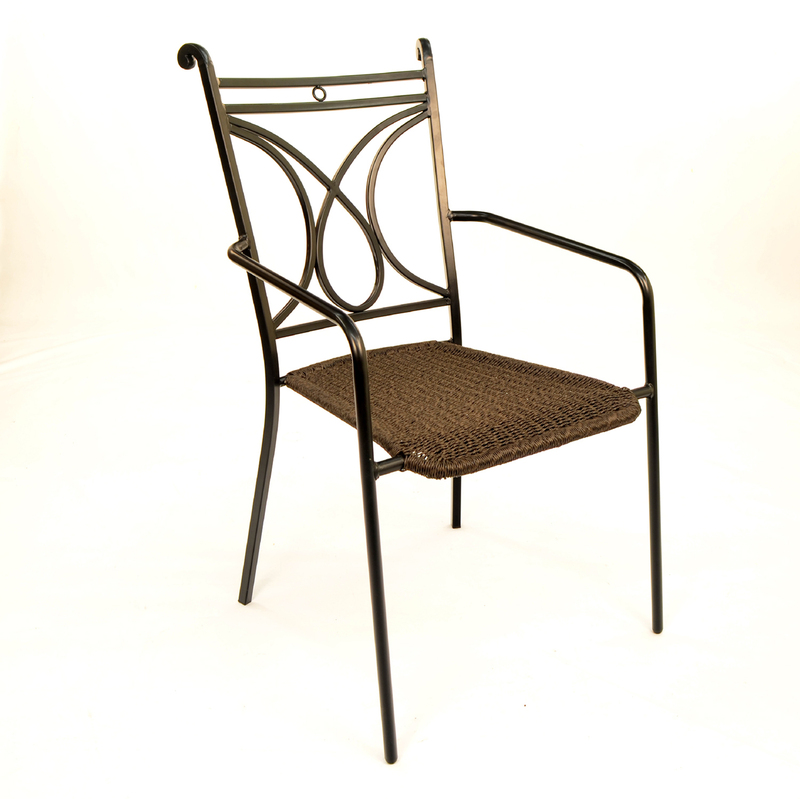 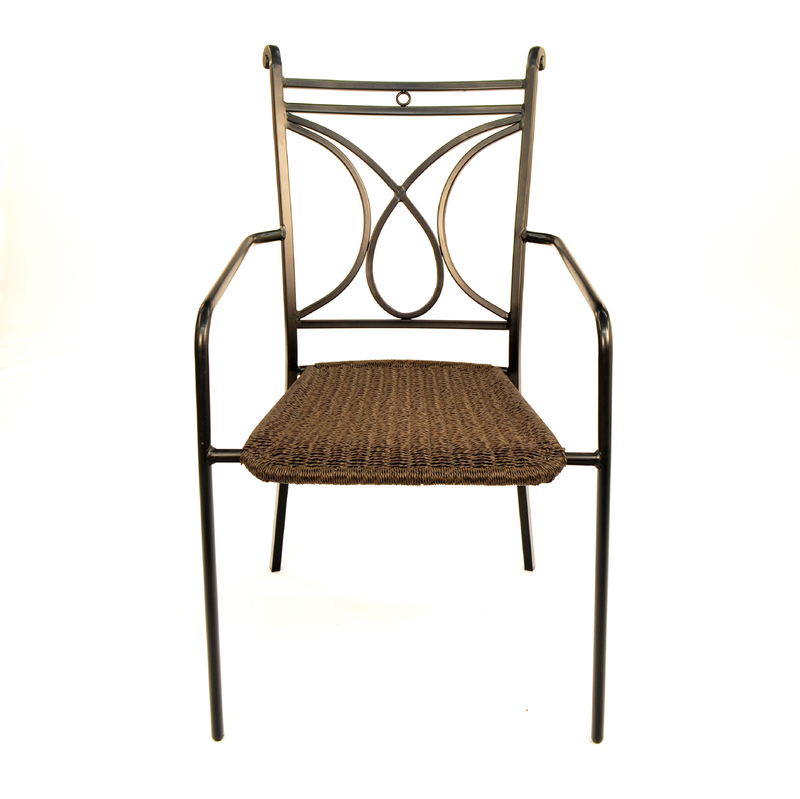 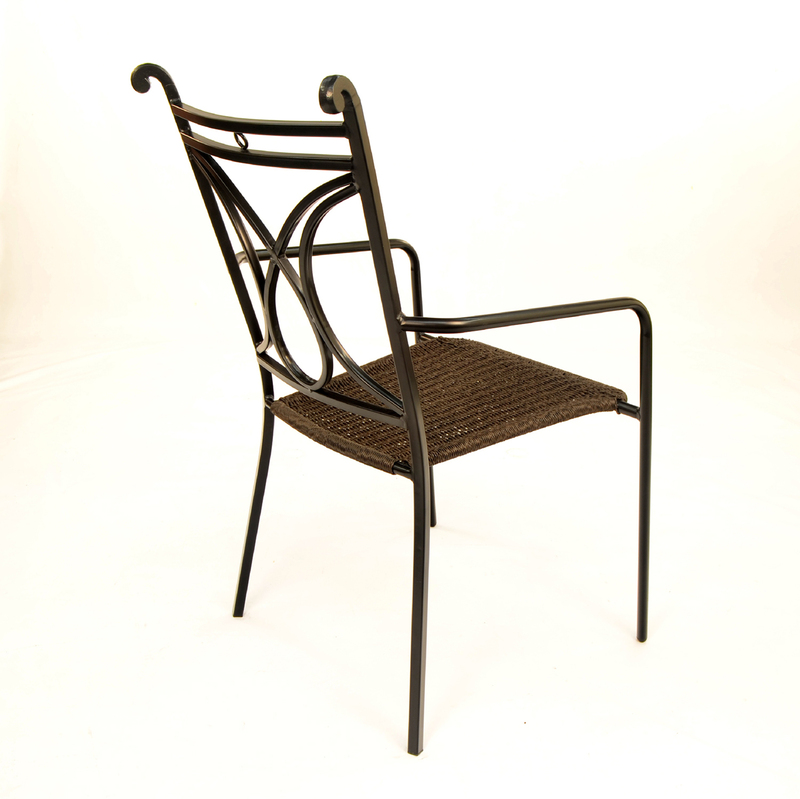 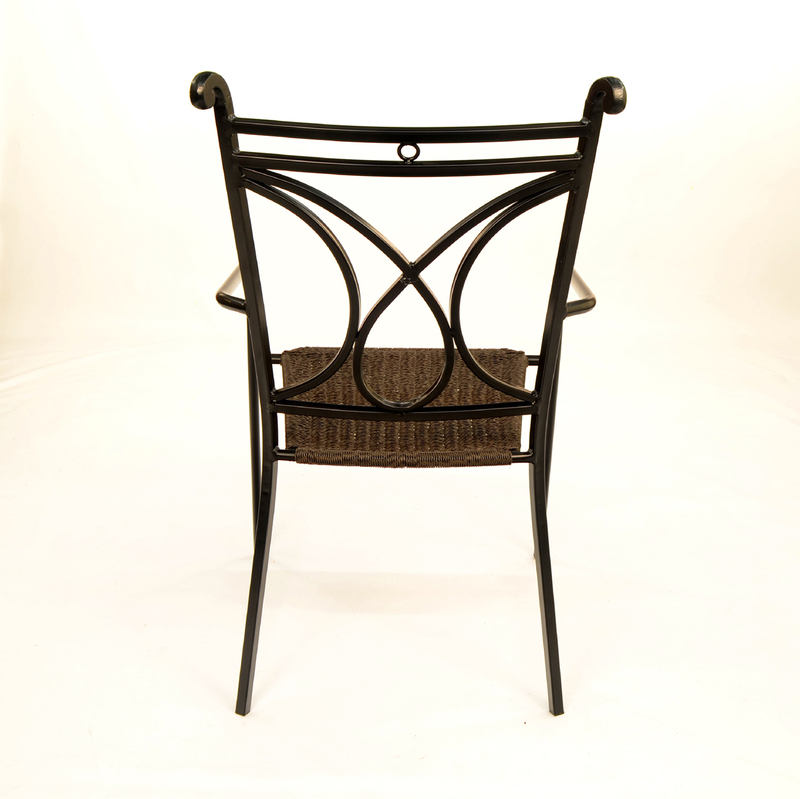 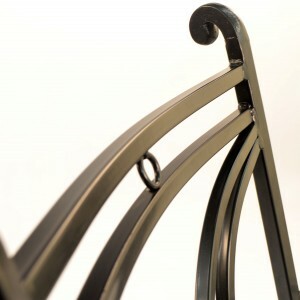 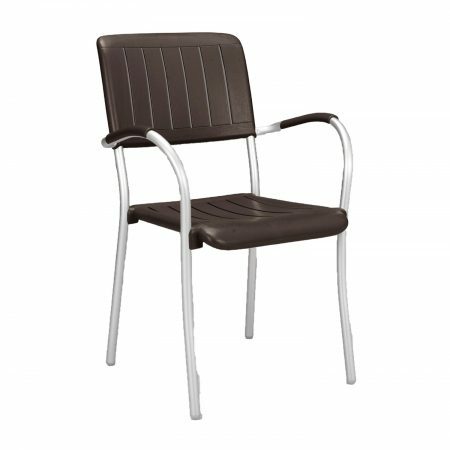 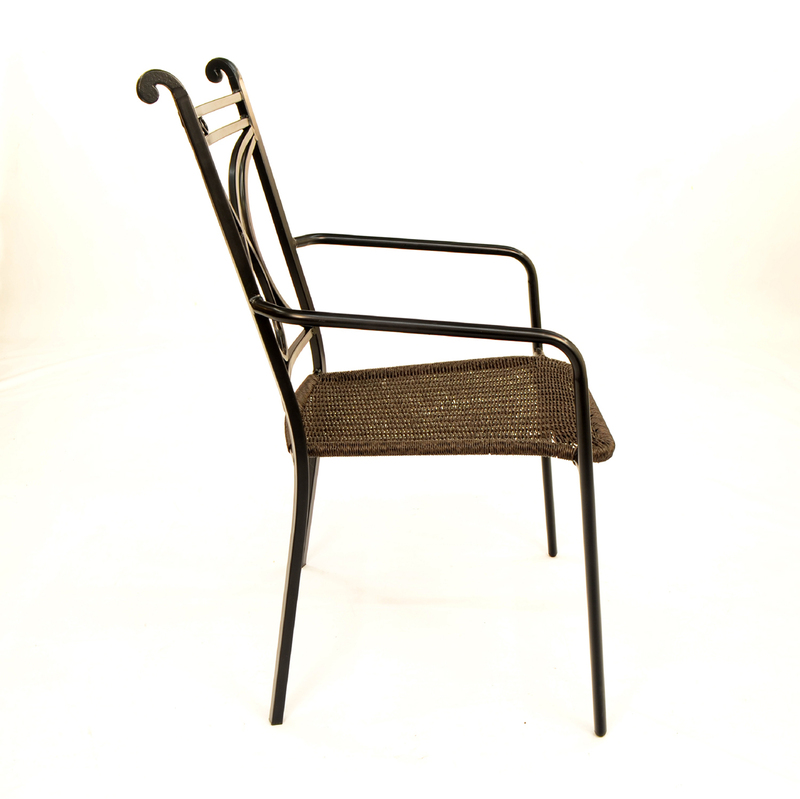 The classically designed Treviso chair has been crafted in tubular steel and finished in black with a weather resistant wicker seat for added comfort. 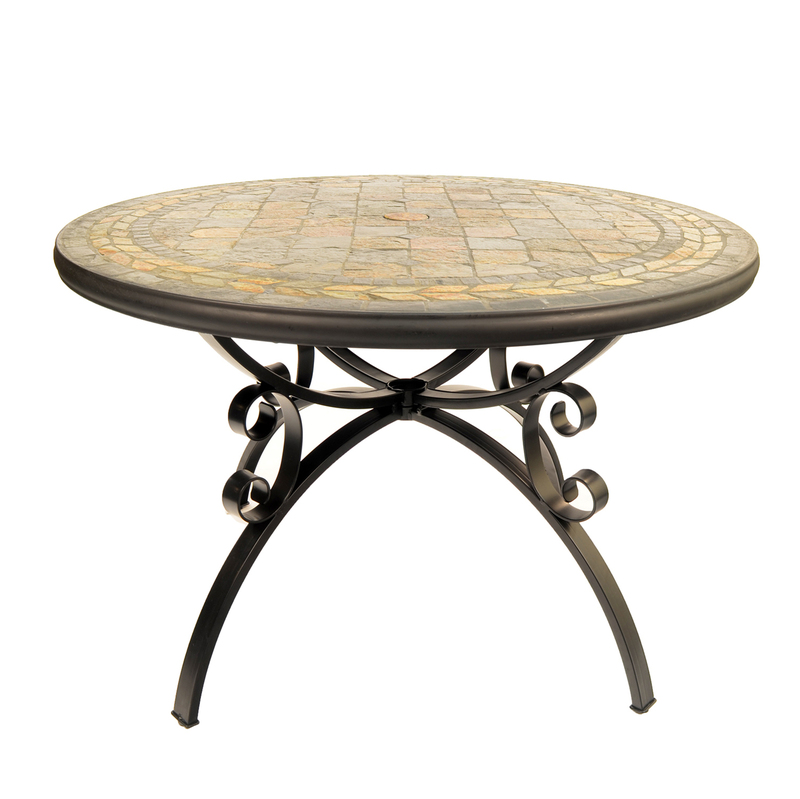 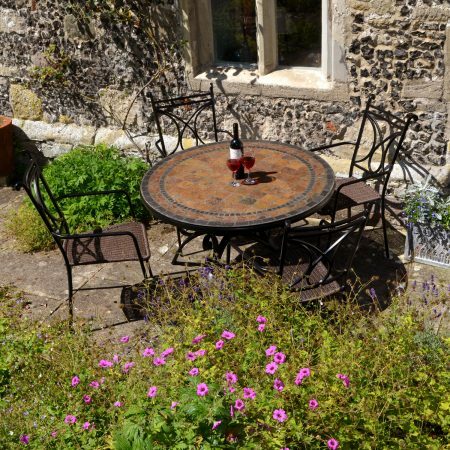 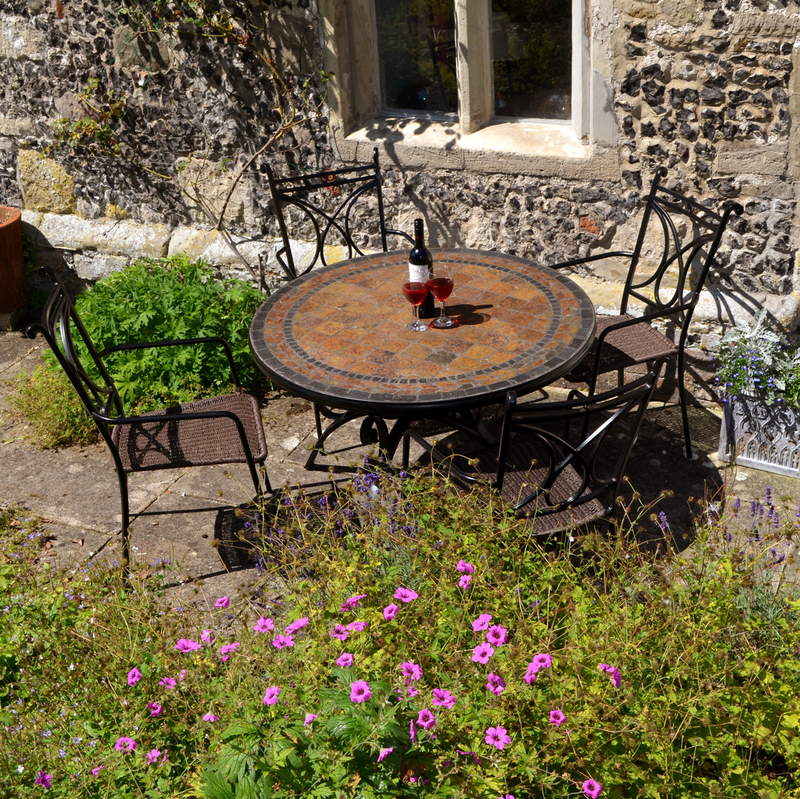 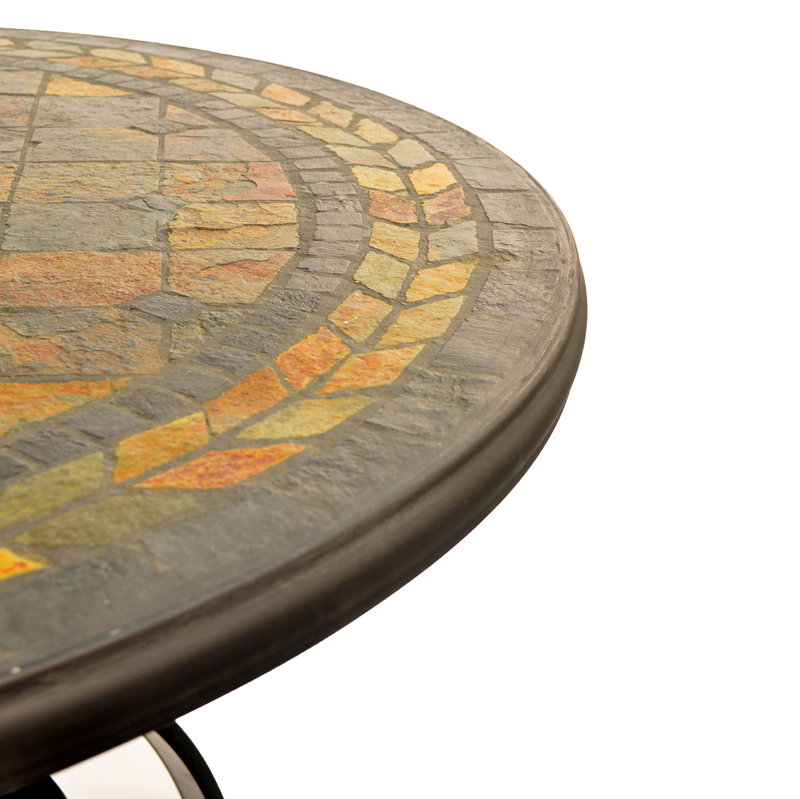 The stunning Santa Maria table measures 110cm in diameter, giving plenty of room to dine, the tiles are hand laid mosaic style and have lovely warm earthy tones to compliment the garden. 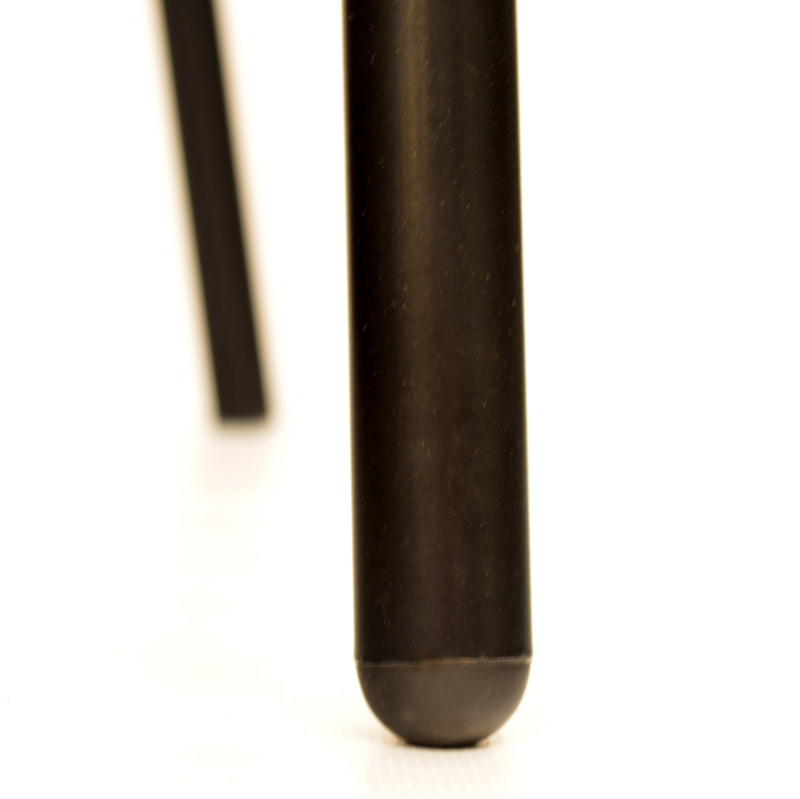 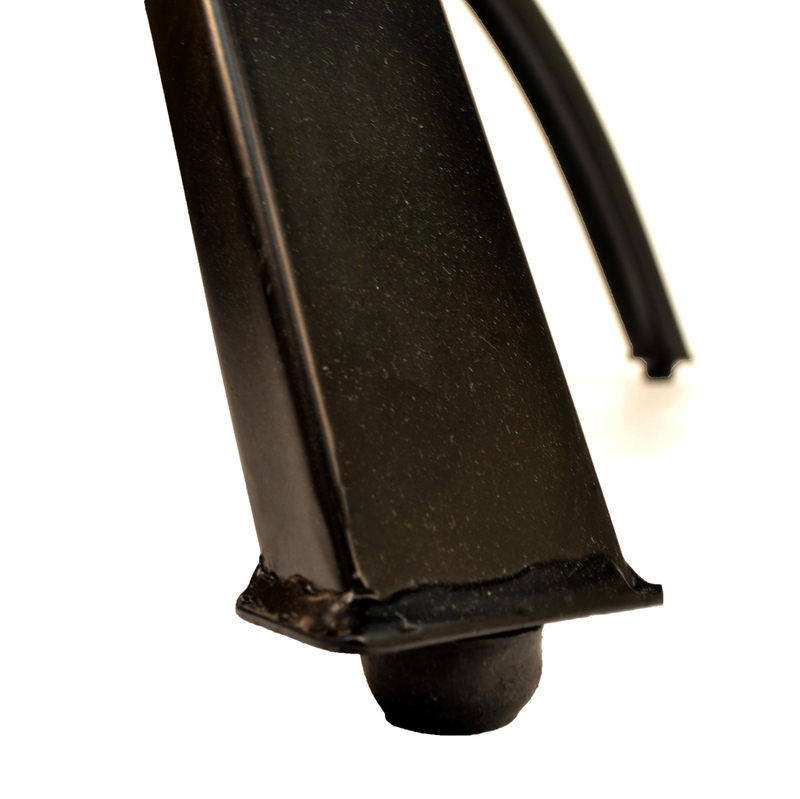 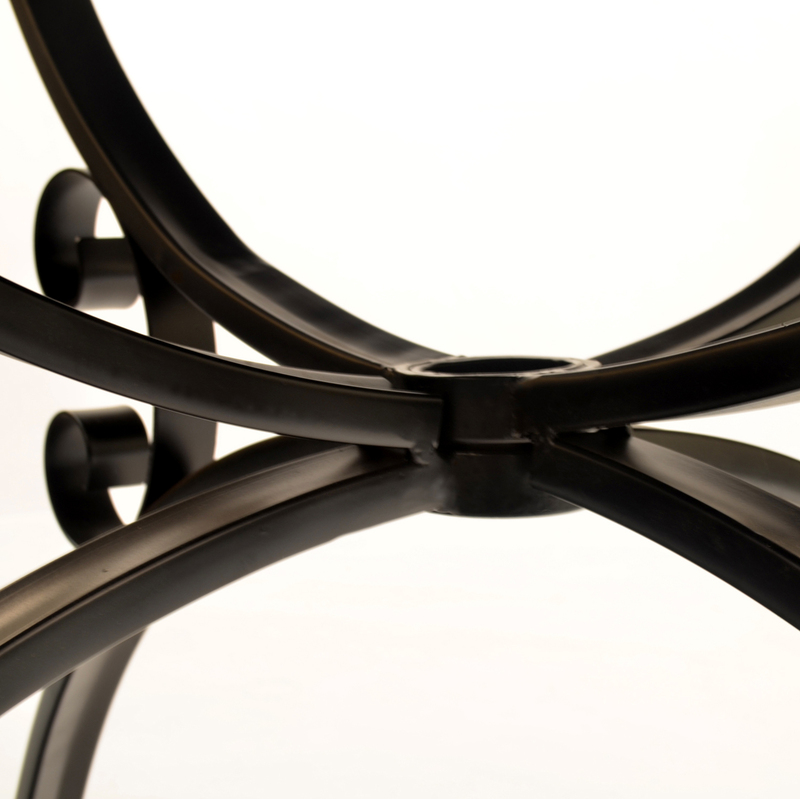 The table legs are constructed of steel and powder coated black, the accompanying Treviso chairs have an elegant scrolled design i the back rest and an all weather resin weave seat, they are powder coated black and will also stack.